This article was written by Nakita Valerio and originally published here. IWD is marked differently around the world. However, as we are celebrating, it shows how much further we have to go. It calls attention to the fact that the question of what a Muslim woman wears (whether the hijab, niqab or burka) still generates such furious, divisive debate among Canadians. Just last month, a woman wearing a burka was refused service at a North Edmonton business, rallying support and condemnation from both sides of the public debate. It was only recently that the federal government launched an official inquiry into the status of missing and murdered indigenous women. IWD accentuates the fact that equality for women in this country is still heavily tied to the individual’s background, religious, racial, or otherwise. Additionally, this inequity is highlighted this year as Women’s Day coincides with celebrations of Alberta’s 100th anniversary of women’s suffrage, when Alberta joined Manitoba and Saskatchewan as the first provinces to allow women the right to vote in provincial elections. While an important move in the history of the province, such an anniversary further reminds us of the unequal distribution of women’s rights because suffrage was applied unevenly at the provincial and federal levels. The suffrage provisions of 1916 did not include Japanese and Chinese women who weren’t legally franchised until 1948, nor did it include indigenous peoples, whose suffrage also came unevenly across the country and who weren’t fully franchised until 1960. I argue that some of the rhetoric surrounding IWD, and other events that are not necessarily promoting a brand of “intersectional” or inclusive feminism, depends on a particular vision of liberation that does not recognize a woman’s own voice. Nowhere has this been more prevalent that in debates around whether or not head coverings are intrinsically oppressive or liberating, which continue to plague Canadian women of all backgrounds including Muslims, Sikhs and South Asians. New feminism is based on the understanding that there is nothing inherently liberating about one expression over another. Rather, the liberation is in a woman’s choice and part of modern gender equality rests on the acceptance of diverse womanhood on her own terms, regardless of one’s background. Edmonton, thankfully, is a host to ongoing women’s interfaith conversation groups, Muslim-indigenous education workshops, and public school lectures on the status of women and veiling in Islam. 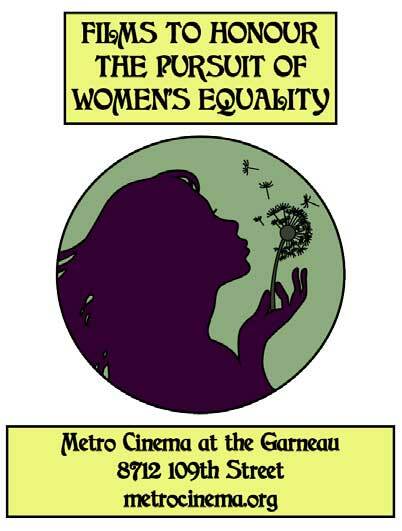 We are also lucky to have Metro Cinema’s three-night film festival titled, You Can’t Keep a Good Woman Down, starting March 8, hosted here in Edmonton and supportive of dozens of local female artists and women’s social justice organizations in the city. Indeed, local advocacy groups have taken to creating spaces that are safe and welcoming for women of all backgrounds. One such group, the Alberta Muslim Public Affairs Council, views the day as an opportunity to engage in critical dialogue with women across the province. Ultimately, the critique of International Women’s Day serves to unify the mandate of groups who attempt to celebrate the diversity of women on their own terms and to continue to sound the call for a new, inclusive feminism to take hold everywhere. Nakita Valerio is pursuing graduate studies in Jewish-Islamic studies (history) at the University of Alberta. She was named one of the Alberta Council for Global Cooperation’s 2015 Top 30 Under 30 and was awarded the QEII scholarship for graduate students. 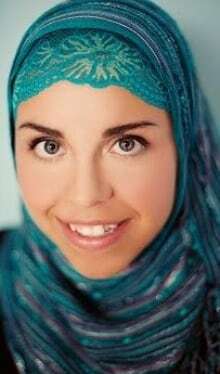 She is also director of public policy with the Alberta Muslim Public Affairs Council.